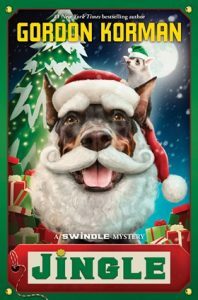 Genies, hospitals, and kidnapped babies are not exactly what one expects to read about in Christmas-themed books, yet creative middle grade authors have spun their magic and make it work in these 10 selections. 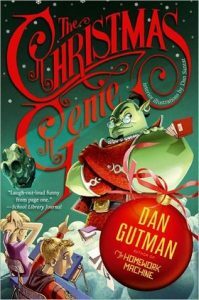 When a meteorite crashes into a fifth-grade classroom, the genie inside agrees to grant the class a Christmas wish–if they can agree on one within an hour. 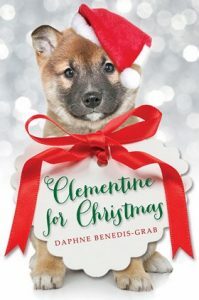 Josie is timid at school, comfortable at home, and confident when she and her dog Clementine are volunteering at the pediatric ward of the local hospital; Oscar is acting out and in trouble at school, miserable at home, and forced to volunteer as a punishment; Gabby is popular at school, but her perfect life is threatened because she is hiding a dangerous medical condition–but at the hospital the three children are brought together by Clementine at Christmas. 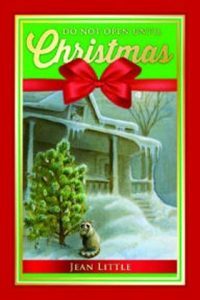 A collection of Christmas-themed short stories. 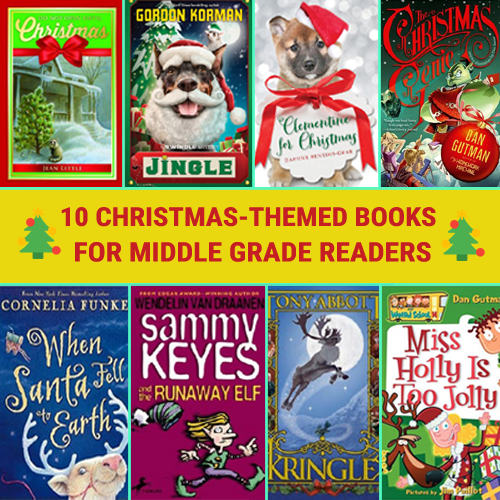 Includes: The Portable Christmas, Patrick’s Tree, The Different Doll, and The Boy Who Didn’t Believe in Christmas. Disaster reigns when A.J. participates in the school’s holiday pageant celebrating Christmas, Hanukkah, and Kwanzaa. 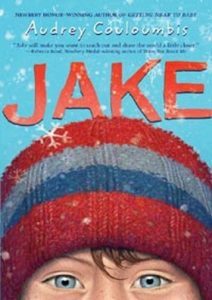 When ten-year-old Jake’s widowed mother breaks her leg just before Christmas while her sister and best friend are both away, a grandfather Jake barely remembers must come to Baltimore, Maryland, to help a neighbor take care of him. 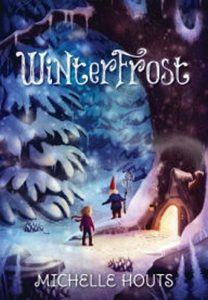 Santa’s Workshop Holiday Spectacular at the Colchester mansion is a long-standing tradition in Cedarville, however Griffin, Ben, and Antonia are not happy to find that they have been volunteered as elves by their friend Logan and cannot get out of it. 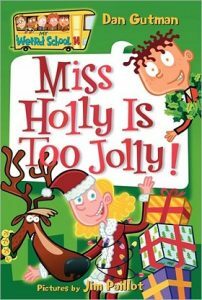 But, this year the pageant seems plagued by frequent electrical outages, and during one of them the valuable antique known as the Star of Prague disappears from the giant Christmas tree, and as they are the chief suspects, the friends set out to find who took it. 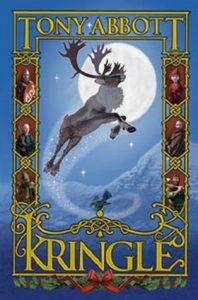 In the fifth century A.D., orphaned, twelve-year-old Kringle determines to rescue his beloved guardian from the evil goblins who terrorize the countryside by kidnapping and enslaving humans and, in the process, with the help of elves and others along the way, discovers his true destiny. Sammy Keyes is stuck cruising the streets of Santa Martina on a Christmas float filled with dogs and antlers. 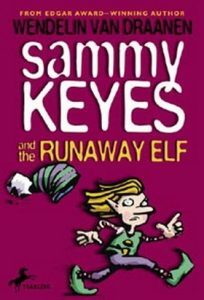 But, when three pranksters sabotage the parade and send the dogs scurrying, it’s up to Sammy to find the prize. 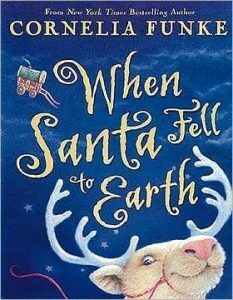 Left in charge of her home and infant sibling when her parents are called away at Christmastime, Bettina disregards a family custom about leaving out rice pudding for the nisse, who make their magic known when Bettina’s baby sister disappears.